Sometimes, what I miss is not actually the meat, but something else about the eating experience. That is definitely the case for buffalo wings. The chicken wings themselves are an awkward, greasy, boney mess. Never really liked them. But, oh the buffalo sauce. When you think sports, when you think relaxing with beers, you think buffalo wings. It’s almost ritualized, the perfect combination of flavor and eating occasion. And I was craving it something fierce during the playoffs this year. 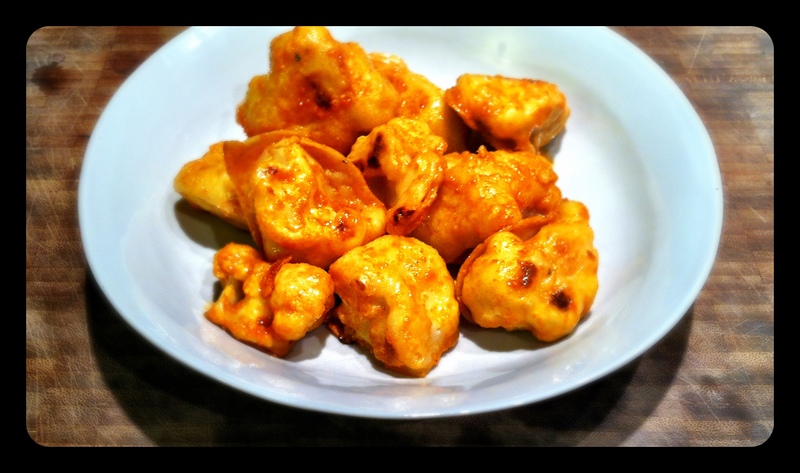 Great news: cauliflower buffalo bites. Thank you, PETA. You just do so much good in this world. These are amazing, and I make them more frequently than I would like to admit. Here’s the original recipe. And here are my preferred modifications. Celery sticks and blue cheese dressing are the classic accompaniment, but I never bother – too good already! Potatoes are almost 4x more caloric than cauliflower. They are comparable in fiber, but potatoes are 4x higher in carbs. Cauliflower is a very good source of Vitamin C – one cup has 77% of your daily value. While both potatoes and cauliflower score above 100 on amino acids (meaning they are complete or high-quality proteins) the caloric ratio of cauliflower is 19% versus 7% for potatoes. Cauliflower has a significantly lower glycemic load (2 versus 10 per 100 grams) so this is a much better choice for maintaining healthy blood sugar. Cauliflower is mildly anti-inflammatory (Inflammatory Factor score of 18, higher is better) while potatoes are mildly inflammatory (IF score of -60). 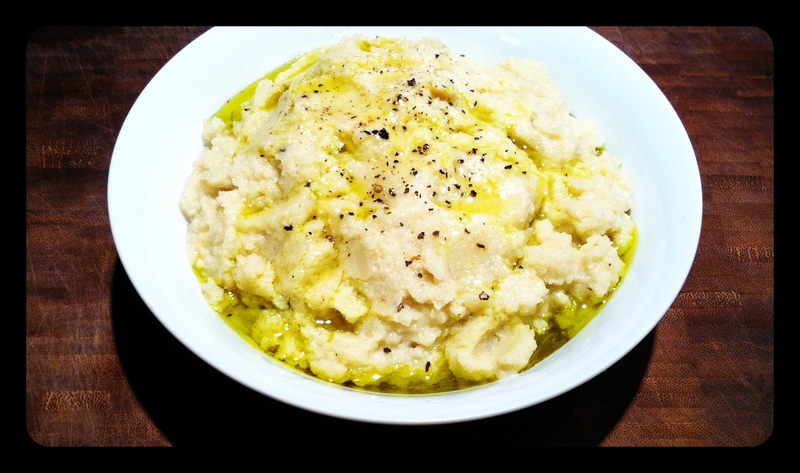 But for me the flavor and texture are big selling points, making mashed cauliflower more than a mere substitution. It’s no compromise in my mind, it’s a delicious side dish in its own right. You can double this recipe to make a big batch using the whole head of cauliflower, or do what I do: cut out the “middle half” in two half-inch thick slices and save for cauliflower steaks. 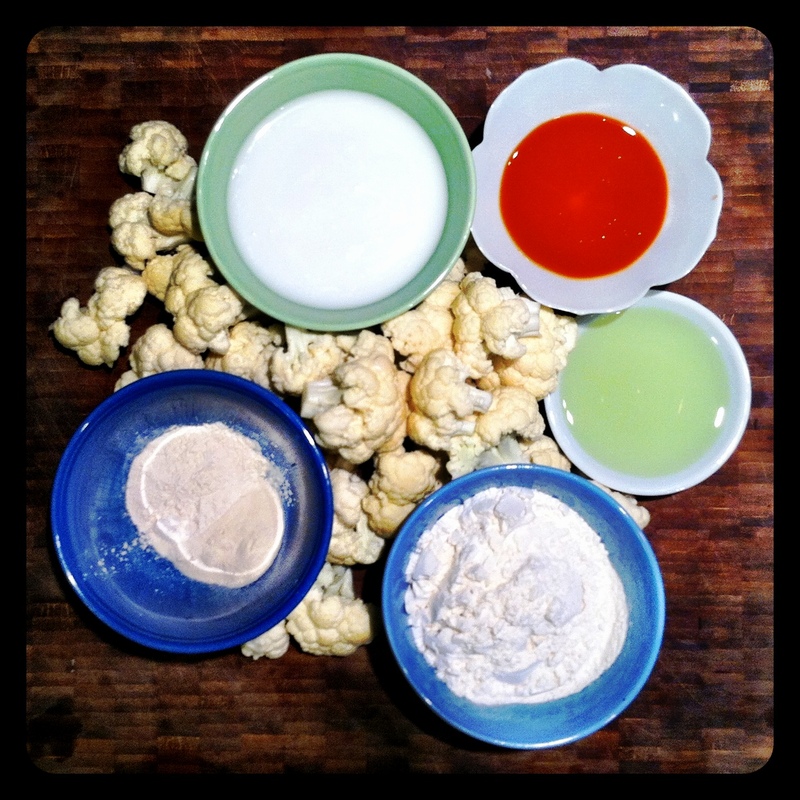 Break cauliflower into medium-size florets. Simmer in stock for approximately 10 minutes until tender. Strain but reserve some cooking liquid to adjust texture later if necessary. 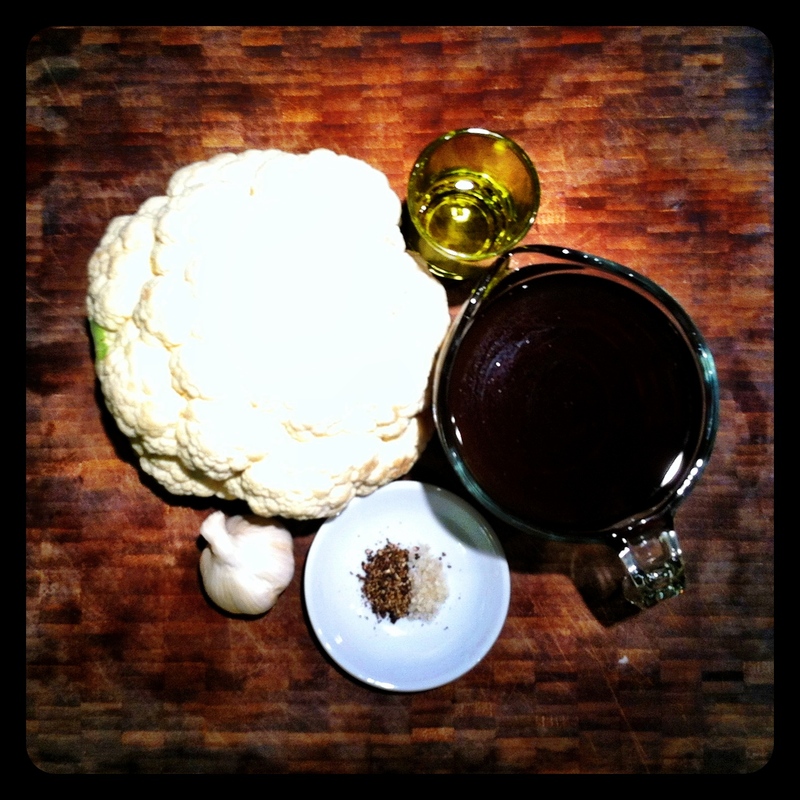 Place cauliflower, garlic, olive oil, salt and pepper in a food processer and blend until desired texture. Serve with an additional drizzle of olive oil and sprinkle of pepper if desired.